Methods textbooks generally offer prescriptive advice on how to perform certain techniques, how to develop specific strategies, how to analyze your results. But, as all experienced ethnographers know, this fine-sounding advice rarely provides ample guidance in dealing with real people in real field settings. That is where this casebook differs. Selecting many key methods regularly used by anthropologists - participant observation, consensus analysis, simple surveys, scaling, freelisting and triads, networks, decision modeling- the editors commissioned scholars who have completed studies using these techniques to describe them in the context of real field work. 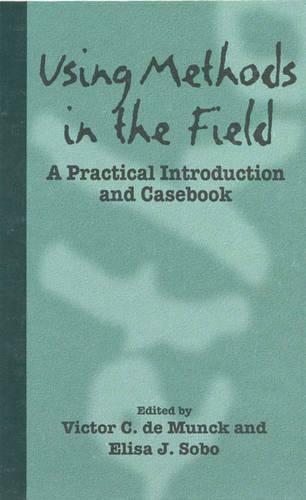 Using cases from health, community politics, family relations, and child development (among others) in settings as diverse as an Arkansas college campus, a Mexican barrio, a Thai village, and a Scottish business, the student is given a clear understanding of the diversity of methods used by anthropologists and the complexities surrounding their use.